After the conclusion of the first leg, which ended in a one-all draw, it is Real Madrid’s turn to host their arch-rivals Barcelona in the second and final leg of the semifinals of the Copa Del Rey fixture on Wednesday. The ‘El Clasico’ has been a platform where fans of the two Spanish giants demand the best out of their players as it is a match which is regarded as more than just a game. It is about tradition, prestige and bragging rights of being the best in Spain. Over the years, this fixture has seen some iconic players who have contributed to making the match what it is today. The likes of Ronaldo Luís Nazário, Ronaldinho, Luis Figo, Cryuff, Roberto Carlos, Carles Puyol, Iker Casillas, Thierry Henry and more recently, Cristiano Ronaldo whose counterpart Lionel Messi still remains with Barcelona. 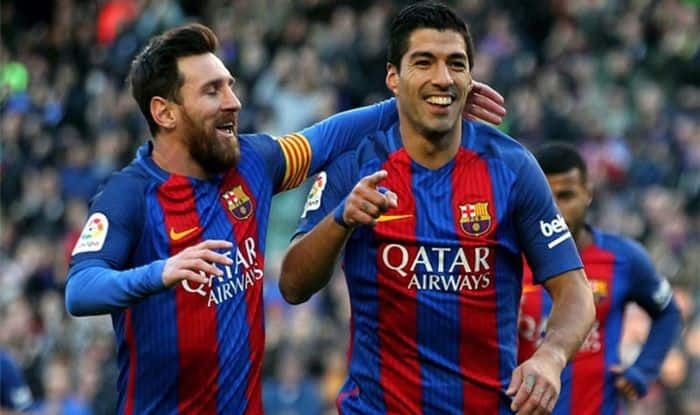 The Argentine alongside Luis Suarez have formed one of the most lethal attacking duo and is a menace for defenders to deal with. Among Real Madrid’s current stars Gareth Bale and Karim Benzema has been among the significant contributors for their respective club in terms of goals. In this match, Messi and Bale -both wingers- will look to make their mark again. Both the footballers possess a rich history in this fixture and will aim to emulate the same when their respective clubs meet for the second leg of the Copa Del Rey fixture at the Santiago Bernabeu stadium. Messi is back in top form and firing on all cylinders and although Bale’s commitment has been questioned, he is completely capable of rising to the occasion as he has done in several crucial fixtures for Madrid and in the past, for Tottenham. The five-time Balon’dor winner has bagged 15 goals in the 19 Clasicos he played at the Santiago Bernabeu Stadium, 10 of which he won with Barcelona, including three consecutive victories in the most recent three La Liga seasons. While, Bale has scored crucial goals in the fixture, most notably, in the finals of the Copa Del Rey clash of the 2013-14 season. Messi will head into the match following a sensational performance on Saturday, bagging his 50th career hat-trick and assisted Suarez on the fourth goal in the defending champion’s 4-2 away victory over Sevilla in La Liga. Lionel Messi (Barcelona), Karim Benzema (Real Madrid), Luis Suarez (Barcelona), Gareth Bale – could start from the bench- (Real Madrid), Luka Modric (Real Madrid).